The Lost Explorer 'Bengal' Shirt Jacket Ripstop made in USA. Light pink (Hibiscus), washed style. Long sleeves. Small soft collar. 5 button fastening, plus collar button with loop fastening. 2 button cuffs with loop fastening, the buttons adjust the width of the cuff. Straight hem with short ents at either side. Very high quality productions. 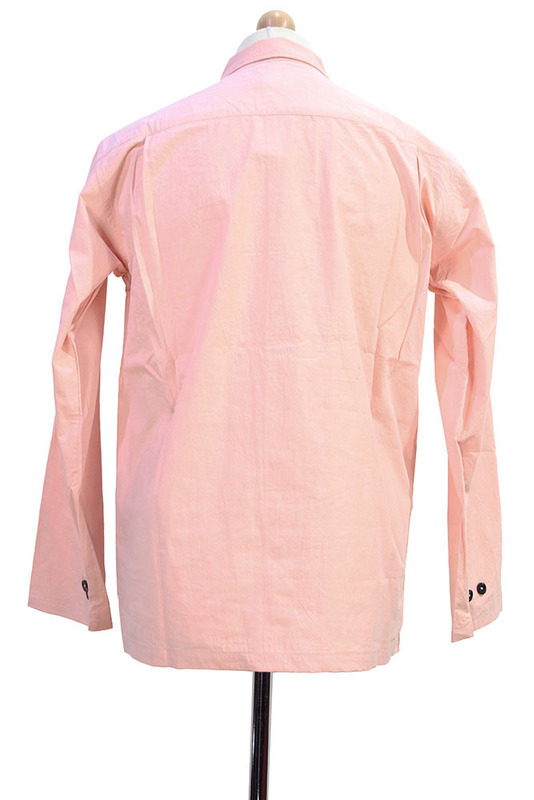 Wonderful Summer shirt that works brilliantly with the other pink garments in this collection.